Brushes inhabit one part of the desk in my studio. 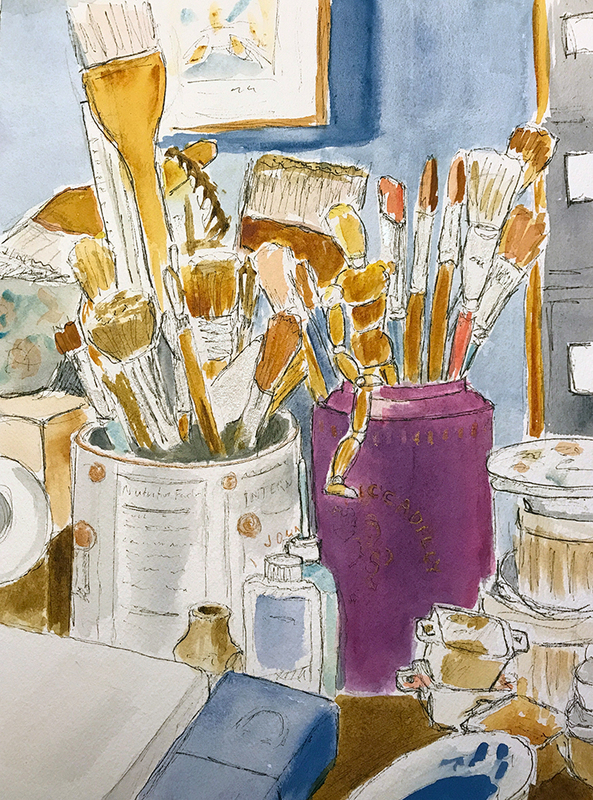 I took the time to sketch the positions of my painting tools in their respective homes: an oatmeal tin, and a Jackson’s of Piccadilly tea tin. I used pen and ink for details before and after applying the watercolors. This entry was posted in Personal Stories and tagged artistic process, brushes, creativity, drawing, painting, sketching, studio, visual arts, watercolor. Bookmark the permalink.